• At L5R: Face the Madness Part 1 and Part 2 (of 3 parts) by Shawn Carman. Fantasy. Rokugan. "'I think I must misunderstand something,” Daidoji Tsunehiko said, his eyes still on the chamber. “You found an artifact. To be more specific, you found what we think might be a duplicate of one of the most dangerous artifacts that Rokugan has ever known.' Finally he took his eyes back to the Crab. ;And this is what you used it for?'" • At Weird Fiction Review: "The Divinity Student: Part Six" by Michael Cisco. "The experiment finished, now he’s clean. He’s washed it away, no formaldehyde smell left, he had scrubbed it away in a spasm of restraint. He’d wanted to get another horse, or maybe a bird, but something bigger — even one of the great monitors in the desert — but perverse discipline had told him to keep off." At Daily Science Fiction: "Those Little Slices of Death" by Susan Lanigan. At Every Day Fiction: "Soul Smuggler" by Lindsay Morgan Lockhart. Fantasy. At Farther Stars than These: "Soy or Miso?" by James Pollard. Science Fiction. At Nature: "The Rumination On What Isn't" by Alex Shvartsman. Science Fiction. At 365 Tomorrows: "Norwellian Phase" by Morrow Brady. Science Fiction. • At Anthropomorphic Dreams Publishing: "A Place to Belong - part 1" by Eric Luhman, read by Chris Hvidsten. Fantasy. "It’s always a bit odd having to live among a different culture. But in this case, it’s an entirely different species. How is one human going to live among dragons–creatures that are different from him in almost every way?" • At Chilling Tales for Dark Nights: "The Devil Behind You" (Creepypasta Scary Story) by Richard A. Moore, narrated by Cicely Mitchell. Horror. 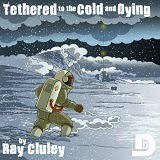 • At Dunesteef: "Tethered to the Cold and Dying" by Ray Cluley. Science Fiction. "The apocalypse left Jackson’s world a burned out and dismal place. He has lived in Two-Nine with Mother for a long time, without ever dreaming that there might be more out there. But when a stranger comes to his station with a story and some pills to trade, Jackson starts to believe that he might still be able to go up to go forward."